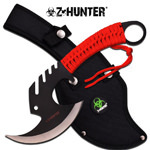 DZS Multi Tool Hammer Axe Utility Tactical Survival Hatchet 17"
This Day Zero Survival Multi Tool Hammer Axe Utility Tactical Survival Hatchet. Wrench, Ruler, Hammer, Axe. 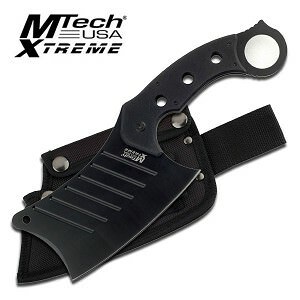 17 Inches Overall In Length, Includes Nylon Sheath. 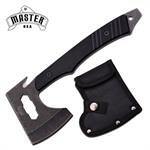 Outdoor Urban Traveler Camping Axe. Overall Length: 9 Inches, Overall Width: Approx. 5 Inches, Blade Length: 2.6 Inches. 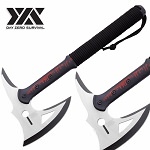 Are you the one who thinks that throwing knives are the one for kids and is looking for something more thrilling? 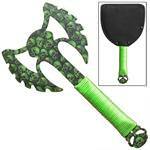 If yes, then we have something for you - Tomahawk Axe. 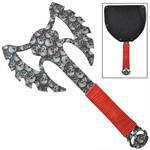 A Tomahawk axe is actually a throwing axe and is used extensively in throwing sports and games. 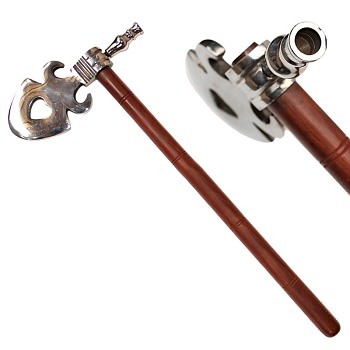 It is a single handed axe and resembles a hatchet with an absolutely straight shaft. Apart from being loved by fanatics of throwing sports, Tomahawk Axe is also the most prized possession of outdoor enthusiasts, lovers and collectors. 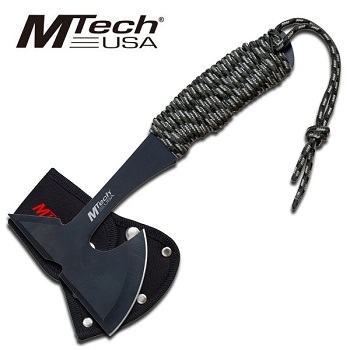 Yes, A Tomahawk axe is for people who love timber and the wilderness. 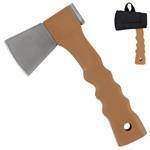 This axe has its origins from North America and is the perfect tool for every woodcutter and chopper. 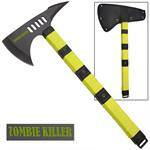 Wholesale Blades stock the most wide and beautiful collection of Tomahawk Axes at very reasonable rates. Yes, we care about your hard earned money and offer you top and unique Tomahawk axes at very low rates. 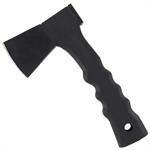 Our Tomahawk axe for sale is capable of finely slicing, chopping and cutting anything that comes its way. 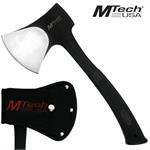 And when it comes to throwing sports, then Tomahawk axe simply turns out to be a beauty there. It is very strong, sturdy and durable, yet lightweight enough to be carried easily. And when it comes to its blade, it is quite exceptional as it features a razor sharp blade which makes it very effective and deadly as well. The designs that our Tomahawk axes feature are purely elegant and breathtaking. From classical, conventional ones to trendy ones, we have them all. 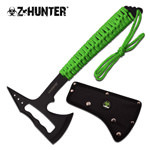 Whether you want a Zombie Killer Throwing Axe, Combat Tactical Throwing Axe, Impressive Double Headed Target Axe, Traditional Pipe Axe, Bleeding Heart Tomahawk Axe, Survival Axe or Throwing Camp Axe, we have unlimited variety and stunning pieces of each and everyone of them. You can use them in any outdoor scenario you want or you can just simply hang them on your wall or gallery for display purposes. Our Tomahawk axe for sale featuring elegant designs, awesome craftsmanship and vibrant colors is the dream of all collectors and outdoorsmen. 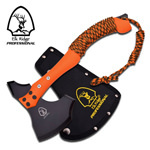 Browse our collection of top-notch Tomahawk axes for sale and have your pick from the unlimited collection at the lowest possible rates. 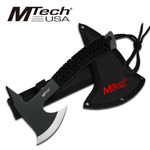 Wholesale Blades is one of the most renowned wholesaler and distributor of Tomahawk Axes. 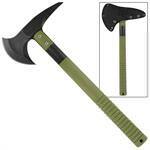 Our Tomahawk axes are the best and most durable among all. 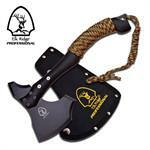 Also, we have an amazing wholesale offer going on our Tomahawk Axes. 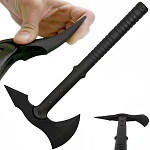 Now, you can avail a FLAT 20% off on your Tomahawk axe if you buy six or more pieces of the same Tomahawk axe from us. Also, we have a good news for those who are interested in dropshipping business as well? Wholesale Blades offers free dropshipping services to its customers and there is no membership fee as well. We are possibly the best option for you if you are into dropshipping business. 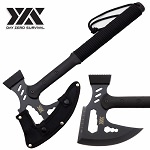 Browse our collection of the most impressive Tomahawk axes and make your purchase today at the lowest possible rates to avail awesome offers and fastest shipping of one business day only.